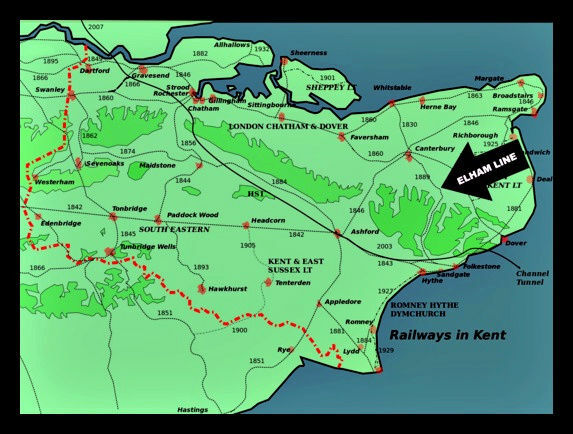 The first Elham Valley scheme for a line from Folkestone to Canterbury was authorised in 1864, but the company went bankrupt two years later. 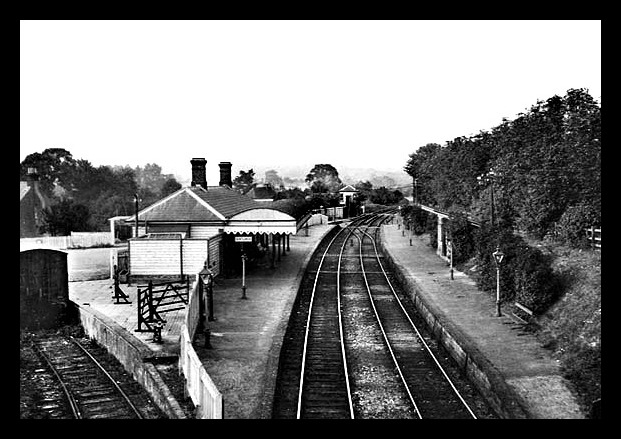 However, in 1881, taking advantage of the Railway Facilities Act of 1870, powers were granted to the Elham Valley Light Railway Company to build a line from Folkestone to Canterbury, serving the villages of Lyminge, Elham, Barham, Bishopsbourne, and Bridge. 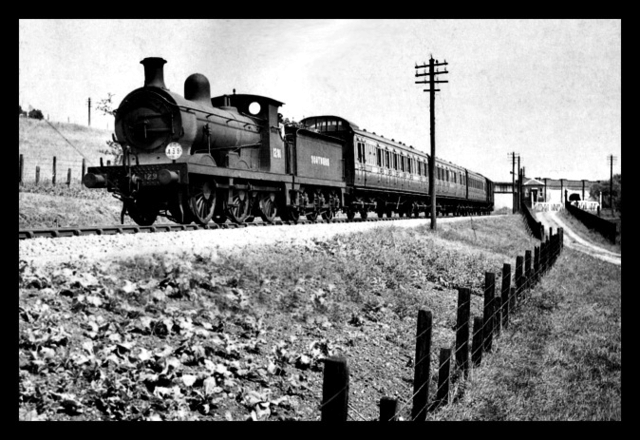 In 1884 the South Eastern Railway absorbed the Elham Valley Company. 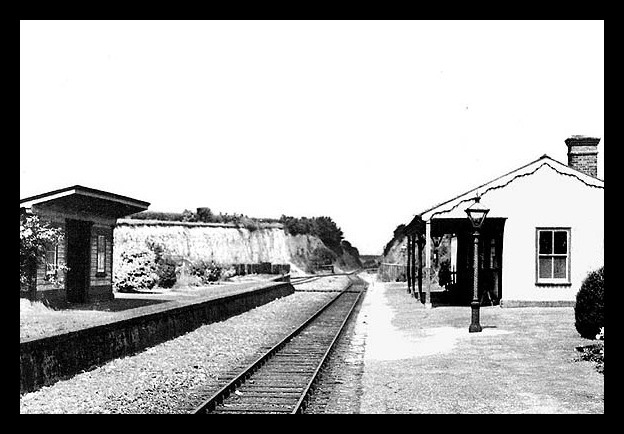 Work began on August 28, 1884, at Newington, near Folkestone. 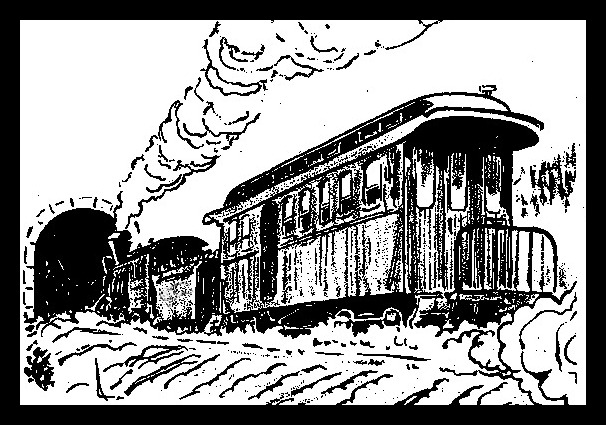 On July 4, 1887, the Shorncliffe to Barham section was completed and opened to the public, with six trains each way on weekdays and three on Sundays. 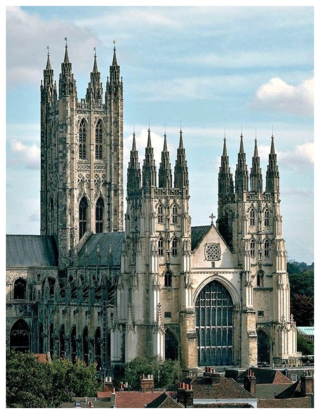 The section from Barham to Canterbury was completed two years later and on July 1, 1889, the stations at Bishopsbourne, Bridge, and Canterbury South were opened. The line was double track, 16 miles 15 chains in length and connected the main Ashford to Canterbury line at Harbledown Junction to the main Ashford to Folkestone line at Cheriton Junction. No real major engineering works existed, although there were a number of deep cuttings and high embankments at various points along the route. Two tunnels were built, at Etchinghill (97 yards) and Bourne Park (330 yards), the latter being in a shallow cutting, solely to please the owner of Bourne Park estate whose land the line traversed. 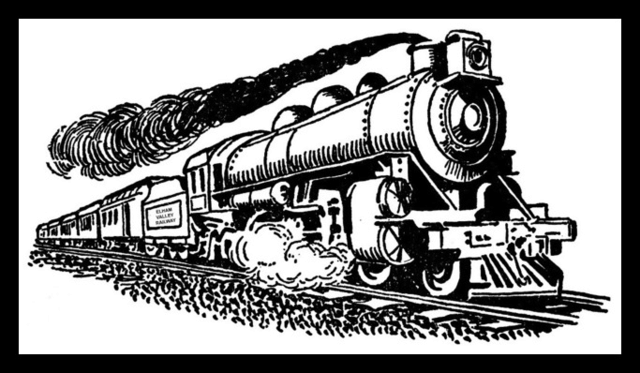 Sadly, in April 1947, after almost six decades of service, the Southern Railway announced its intention to close the line completely as from June 16. 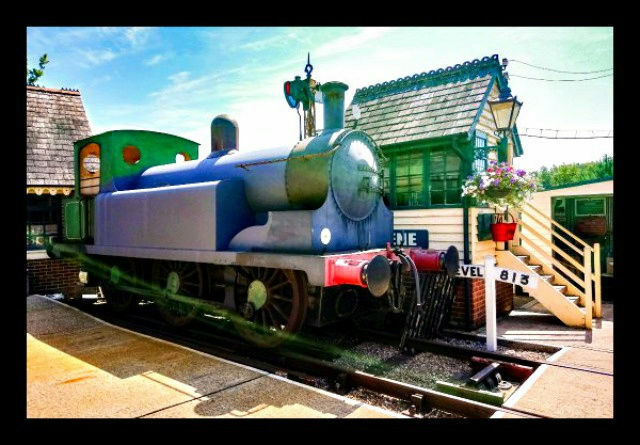 Despite the controversy that raged in the valley, the Southern Railway claimed that only a dozen or so people used the trains regularly, but that was challenged by the villagers who responded by saying that train times were totally incompatible with local needs. 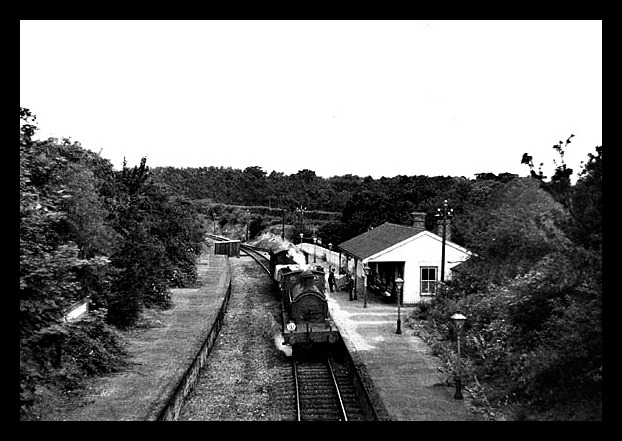 From October 1, 1947, the Southern Railway officially abandoned the branch and within a few weeks the junction at Harbledown was severed. 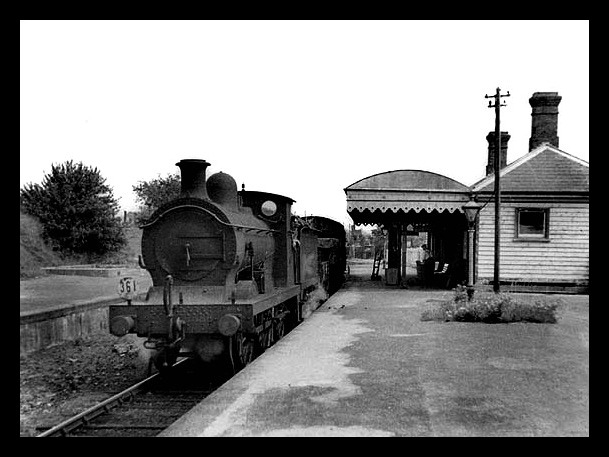 Harbledown Junction is in the background with a train travelling from Ramsgate to Ashford (via Canterbury West Station). The overhead bridge is used by the Dover to Faversham Line (via Canterbury East Station). 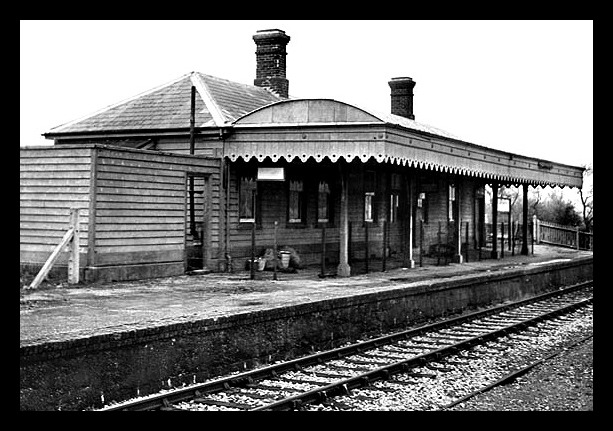 The signal box is adjacent to the crossing gates that served the Elham Valley Railway (via Canterbury South Station). 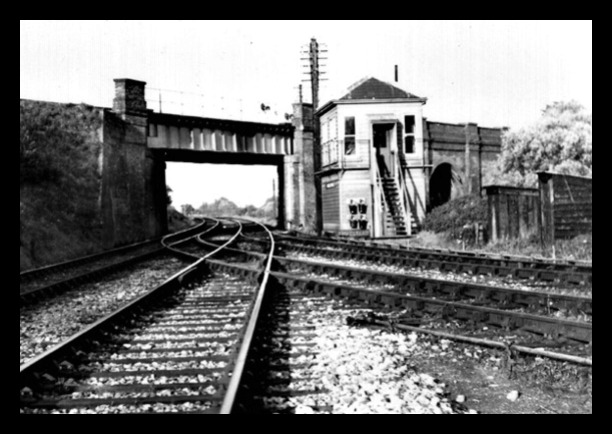 CLICK ON THE PHOTO TO SEE THE HARBLEDOWN ELHAM LINE CROSSING GATES AT THE ONE HOUR THIRTY FOUR MINUTES MARK. 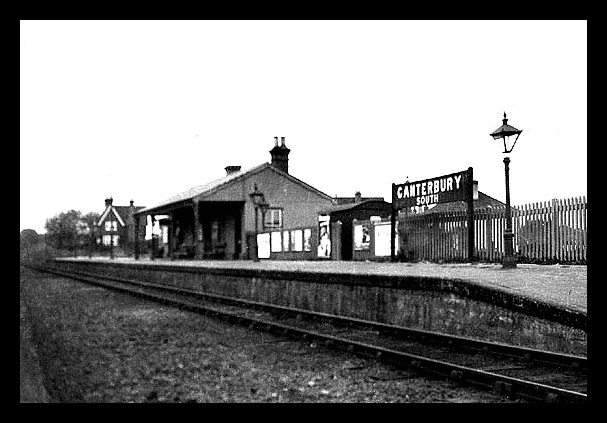 Harbledown Junction in 1943 as seen in A Canterbury Tale. 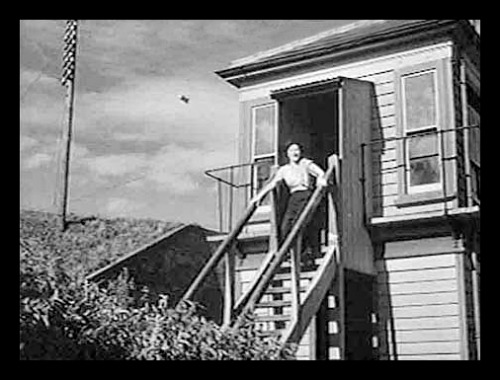 The signal box was demolished in 1955. At Harbledown Junction the green line of trees marks the location of the old Elham Valley Railway. 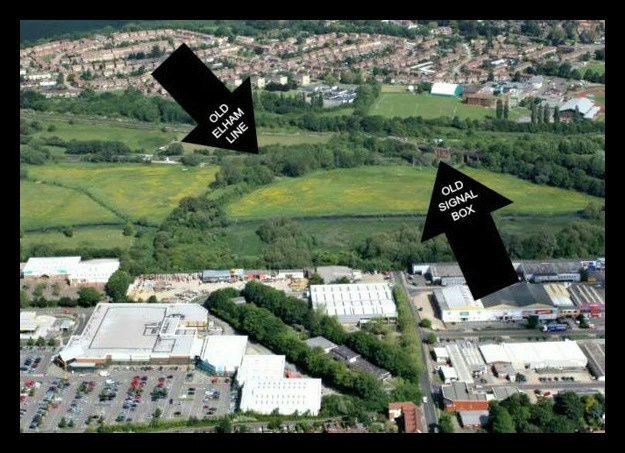 CLICK ON THE PHOTO FOR A NAVIGATION AERIAL VIEW.